I LoVe these beads! They are very Yummy. They are an acrylic bead with a gorgeous vintage look. They are a pretty shade of antiqued lilac purple. These measure 19mm X 13mm. You will receive 6 of these. Beth, I love everything and appreciate your great service and all the amazing things to choose from! 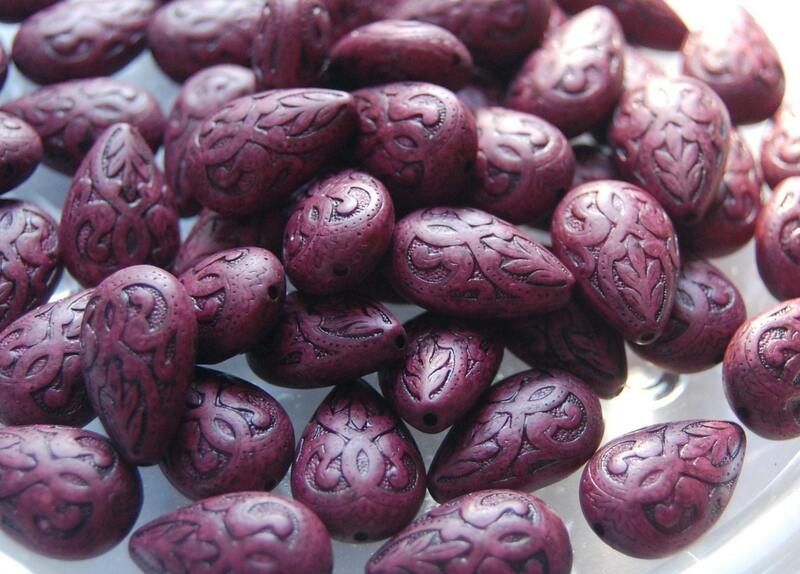 Stunning hues and lovely shapes in these special vintage beads from an equally special seller!